… however, I know that number six is around the corner. At another time, I’ll share about “the one that got away”. (HINT: look to the upper right of this post.) Meanwhile, read some or read all, I hope you (and others) enjoy! 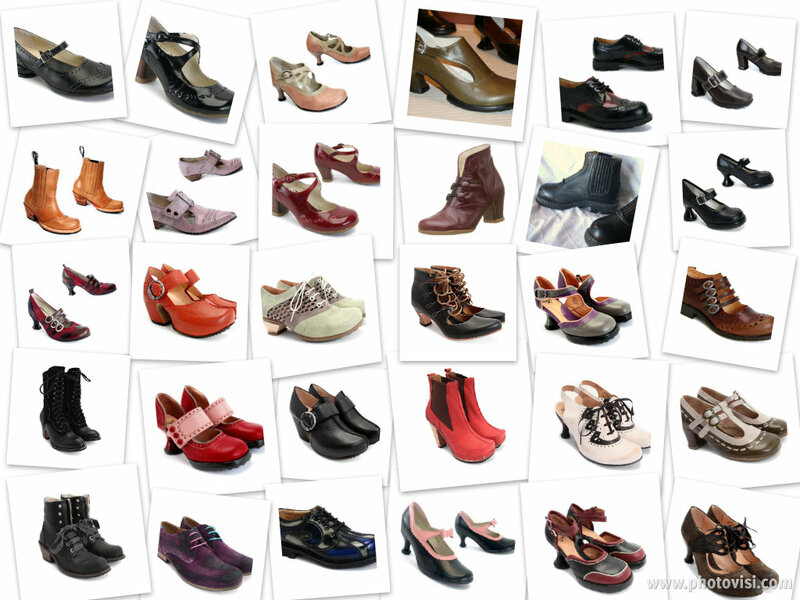 Bellevues among the flock … Among the forty-one pairs of Fluevogs I have (as of mid-February), the Bellevues family represents a good percentage among the other Fluevog families where I have multiple styles – Minis (3), Operettas (4), and Prepares (2). While I don’t necessarily wear my Bellevues much more than the others, I do wear Bellevues for more than casual occasions, and have started to wear them to give a cutesie dress up feel to a casual outfit. Height and stability – The height of the heel at 2.5-inches and the heel pitch (slope) are both comfortable. For me, I have found the seat of the Fellowship-Hi heel to be stable. I also like the comfort for the balls of my feet. In other words, for my feet, my heels, as well as the balls, of my feet are taken care of in Bellevues. Instep and arch – My instep and arch have a strange relationship with each other, in my opinion. In my Bellevues, they get along pretty well. 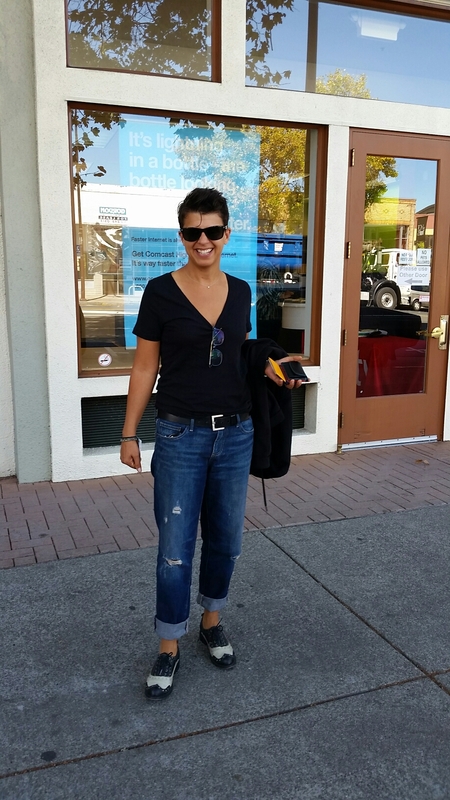 Toe box – When I try on any pair of shoes, it’s all about my left foot’s comfort as a start. I do have a couple of pointy-toe-ish Vogs (Truths and Wonders), however, generally, I look for rounded or square toe styles. The Bellevues’s toe box is accommodating for one of the characteristics I have – a bunion on my left foot (granted, the toe box is not necessarily as roomy as the Operettas and Minis). 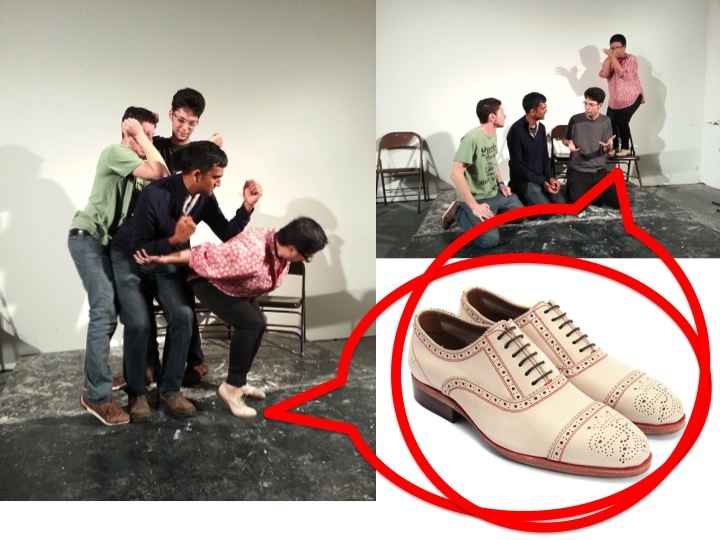 Styles/Design of shoes – I love Mary Janes, T-Straps, Oxfords, and perforations (broguing … think wingtips and spectators) in my shoes. The Bellevues offer these. Size and fit – Oddly, I purchased these in Size 6.0. They fit. HOWEVER, all my other Bellevues are size 6.5. I have been a firm size 6.5 (not a size 6.0 or size 7.0) in Bellevues. When SoleSpace’s Amber said they only had size 6.0, I was ready to walk away. However, she suggested I try them on, anyway; I did not expect them to fit at all. For whatever reason, this pair fit. I tried these on with a light ped. I have worn these with a lightweight tight. I would not consider wearing a heavier tight or sweater tight with these shoes. Half-size difference? – I am NOT suggesting the Laura Evans are a 1/2-size smaller. In fact, I haven’t tried the size 6.5 Laura Evans, so I will, as a comparison, and update this post at that time. I am saying, that for all the reasons I am attracted to the Bellevue family, the Laura Evans do not disappoint. T-Strap, edging, and toe box – My left foot is comfortable in these. I was concerned whether the front edging of the black patent would somehow cut into my feet in a weird way, leave odd creasing. Not a problem. Phew Bellevue! … My Bellevue catharsis for one of our inquiring-minds-want-to-know readers comes to an end. Hope this helped. Let us know what you decide. Perhaps you’ll share a photo and a story about your Laura Evans. Three months have passed … In November 2012, I shared in 50 by 50? Countdown to Halloween 2013 that I have thirty-four Fluevog shoes/boots, however, I LISTED only thirty-three. CLARIFICATION – I do indeed have thirty-four pairs. Dear Minis, please forgive me for the oversight of not including my SF Qtee heels on my November 2012 list. As I took inventory this Feb 2012 and saw four Minis grouped together on my shoe rack, I also saw that I only listed three Minis (Gorgoeous, Elif, Zaza) in my Nov 2012 inventory. by the time I turn 50 years old in October 2013. Forty-one on Valentine’s Day … Inventory done. I am inching toward my goal of 50 by 50. Since November 2012, I have acquired seven more shoes/boots. 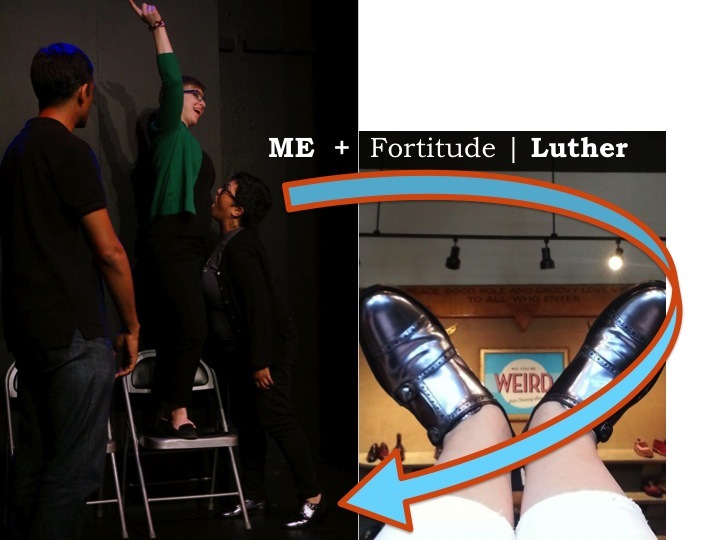 Here is a quick collage (with a pics poached from the web) of my Fluevogs in order of purchases. And among the recently purchased, the one-of-a-kind-sample-sale boots were certainly a find (and quite comfortable! 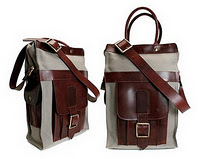 ), of which Generalissima definitely contributed to the eye-spy a find! Interestingly, as a result of emails, spam (not me), and timing, luck also was on my side. Let’s not forget three accessories … and I shall not forget my three accessories, for which my Eddie Weekend Bag certainly has seen its share of being stowed under airplane seats, overhead compartments and car trunks, as well as occasionally serving as a not-so-comfortable cushion of sorts during airport layovers. My red Operetta and brown Silvana clutches are not as frequently toted around, so I’ll change that up this year. Categories: Vog Collected | Permalink. When I saw Joanne’s Happy Flue Year greeting, I loved that the picture she poached for me was from Christmas 2012 – my niece and nephew gifted me GIANT googly eyes. Why? 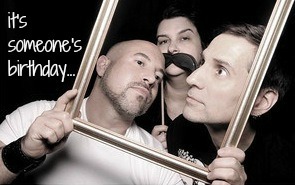 Because I have been known to eyebomb around town. And while eyebombing is primarily for public space fun, occasionally I have deviated from the program for the fun of it. And 2013 shall be no different. New Year Morning … I started 2013 (not hungover) with a wonderful brunch with friends and purposefully enjoyed wearing my yellow Prepare Hi | Steady shoes and a pair of one of my favorite fun socks … that was squealing to be eyebombed. And so I did – begin the year 2013 – with an pair of eyebombed socks. Googly Eyes from craft store. … so shall I in 2013. (and maybe with some googly eyes). “Uhm … You think something like twenty-three?! THAT’S CRAZY!! 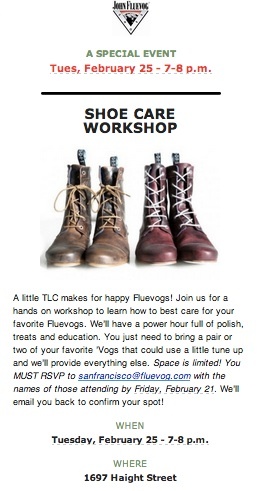 !” These were the words I yelped at a co-worker in November 2008 after I bought my second pair of Fluevogs. WTF?! Her friend owned 23 pairs of Fluevogs?! Counting – November 6 is the soon-to-be-counting of votes for the Presidential election. I like math, and I am in a counting mood. 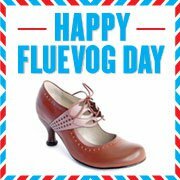 Aging – I turned 49 years old last week (on Halloween, to be more specific) and have decided I will not shun my love for Fluevogs. 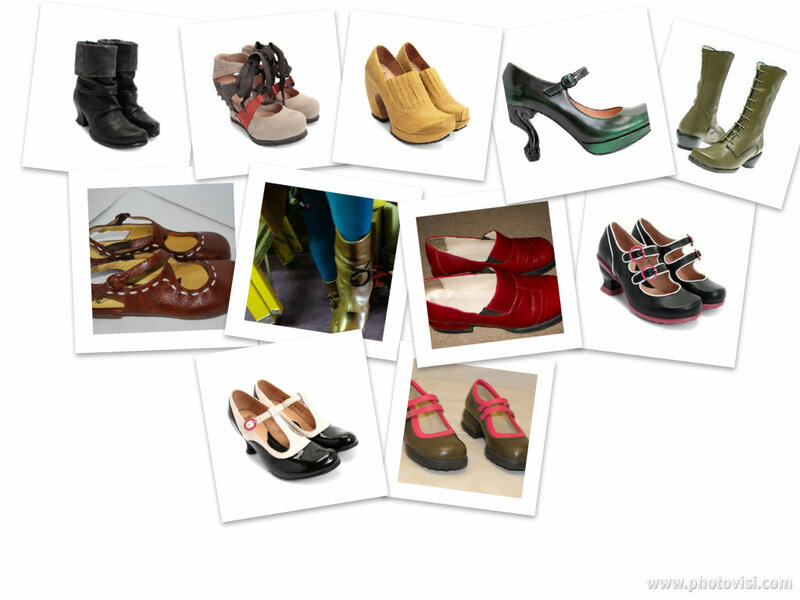 Maybe I will garner 50 pairs of Fluevogs by 50 years old – who knows? 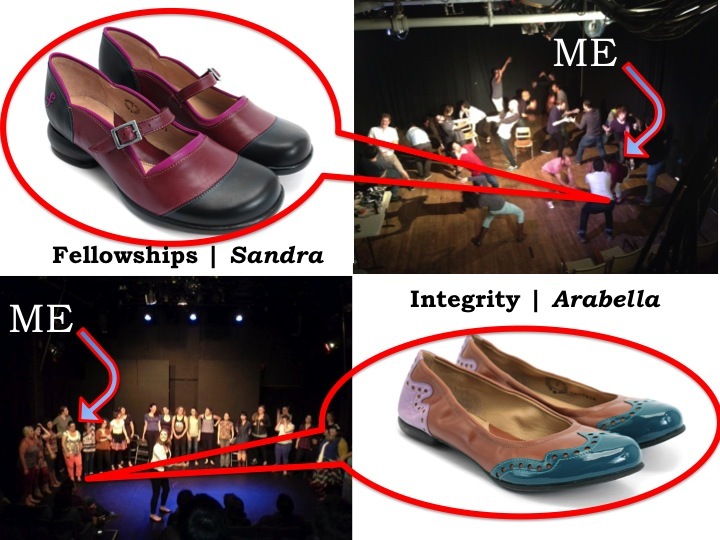 Families – Inspired by Pusher’s the unofficial guide to understanding Fluevog families, I want to share what families I tend to more than others (at least so far). Annual Home Cure – It’s fall housecleaning time. When the clocks “fall back”, not only do I replace my fire alarm batteries but I also revisit Apartment Therapy’s The Eight-Step Home Cure. I trim down my closets, bookshelves, dresser drawers, cupboards, and I feed the OutBox (day 4 of the home cure). Thirty-four … Indeed, I have 34 Fluevogs that I can don on my feet. I will share more in future posts about my collection. Meanwhile, below are the Vogs I own, in order from the most recent acquisition to my very first pair – my fellowships | kathys. Thirty-seven? … OH WAIT! 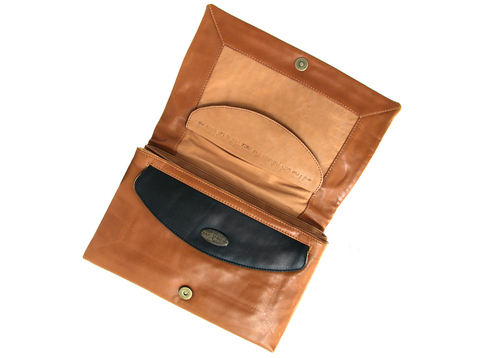 as Pusher reminded me, not to be forgotten are three accessories – operetta clutch, eddie weekend bag, and silvana small bag. Sixteen (or Thirteen) by Halloween 2013? Categories: Life, Vog Collected | Permalink.